Patients know that when they come to our Hartford dental practice, they will receive exceptional care. We offer comprehensive general dentistry services to improve dental health and wellness. Sometimes this means treating cavities and doing routine cleanings, while other times it means focusing on preventative care and other measures. Custom mouth guards are one important preventative item that can help plenty of people. 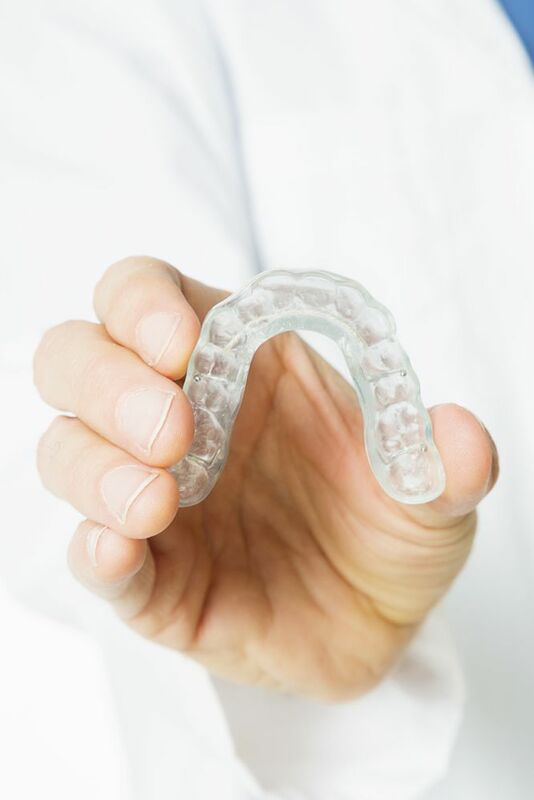 Let's look at some of the ideal candidates for these specially made protective retainers. Athletes are excellent candidates for mouth guards. When playing, sparring, practicing, or training, having a mouth guard in place can help protect the teeth, gums, and tongue from serious injuries. Wearing a mouth guard can literally mean the difference between a lost tooth or a chipped tooth and a totally fine smile. Even people who play basketball and soccer can protect themselves from dental injuries by having a mouth guard in place. These mouth guards will be customized so they feel comfortable and do not distract you from your game. Also known as bruxism, teeth grinding refers to the gnashing, clenching, shifting, and tensing of the teeth when a person is asleep. Teeth grinding is the result of malocclusion, stress, the use of certain drugs or medications, and a symptom of certain health conditions. If left untreated, the teeth grinding can cause tooth damage as well as serious harm to the jaw joint. One of the great treatment options for teeth grinding is the use of a mouth guard. This is known as a bite guard. Bite guards are worn while a patient is asleep, and ti prevents direct contact between the upper and lower teeth. By doing this, stress is reduced and the teeth are protected from potential chips and cracks. The temporomandibular joint (TMJ) is one of the most complicated joints in the human body. The TMJ is located where the mandible (lower jaw) meets the skull, and has to interact with a complicated network of muscles and nerves in order to bite, chew, make facial expressions, and speak. When a TMJ disorder occurs (aka TMD), patients will notice clicking, popping, crunching, and locking of their jaw, which can be quite painful. Since TMJ disorders are commonly linked to teeth grinding, the use of a mouth guard is a common part of treatment. In addition to preventing contact between teeth, the mouth guard will reduce the amount of stress that is placed on the jaw joint, helping relieve some of the symptoms of a TMJ disorder. With regard to teeth grinding and TMD, mouth guards are just part of the answer. During the consultation process, we will design a custom treatment plan just for you and your smile, one that will take into account the many structures of the mouth involved. To learn more about mouth guards and other options for protecting your teeth from harm and damage, be sure to contact our advanced dental care center today. We look forward to discussing your treatment options in greater detail.